The vision is even brighter. A desktop experience that draws you in and keeps you there. This is the idea behind today’s iMac. And now that idea is more powerful than ever. 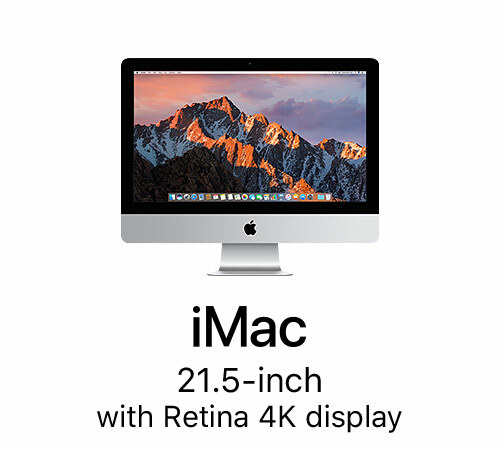 The new iMac is packed with all-new processors, the latest graphics technologies, innovative storage, and higher-bandwidth connectivity. And it all comes to life on the brightest and most colorful Retina display iMac has ever seen. So you get an even more immersive experience—and a scintillating new way to take it all in. 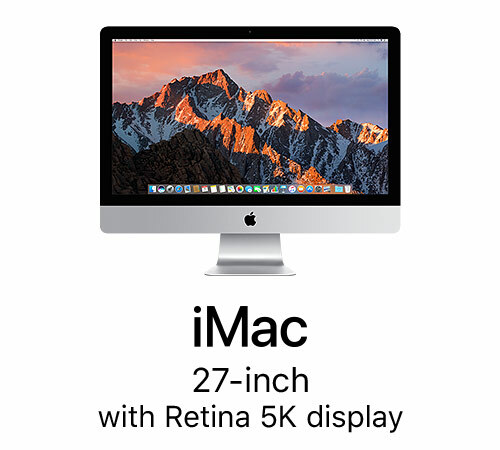 Faster and more powerful than ever, iMac is now equipped with seventh-generation Intel Core i5 and i7 processors and the latest high-performance graphics. Storage kicks into high gear as well, with the speedy and spacious Fusion Drive now available in standard configurations of both the 27-inch and 21.5-inch Retina models. So you can do everything you love to do on iMac. All at maximum velocity.